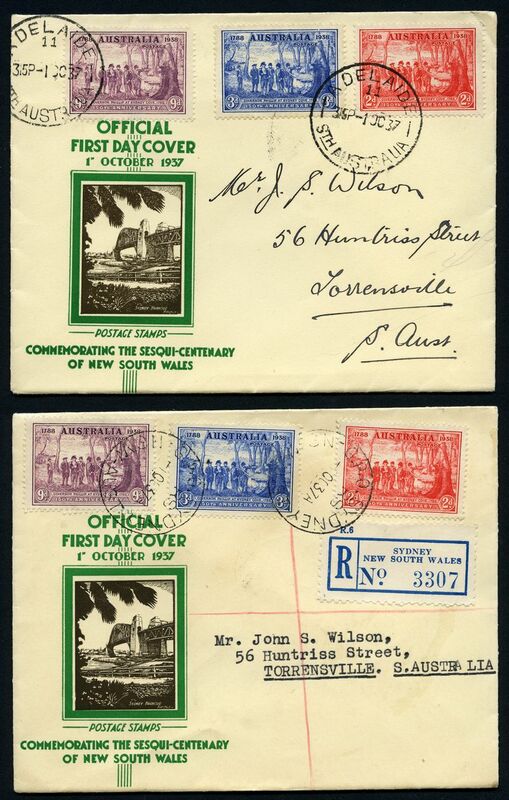 Accumulation of 474 commercial covers, mostly franked with KGV Head issues, all with company slogans or attractive advertisements representing South Australian companies. Mainly stamped with 1d Green and 2d Red KGV and addressed to AMP Society. Attractive range with many covers adhered to pages and opened on three sides. Some duplication. 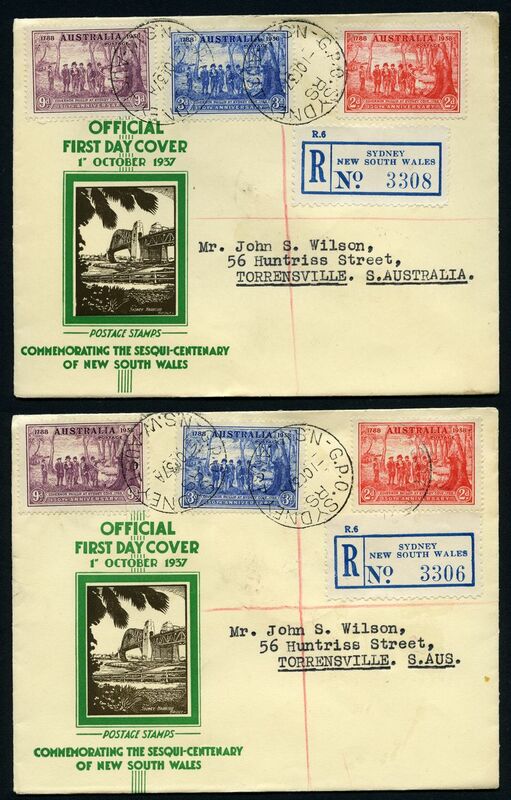 Accumulation of thousands of commercial covers mainly from the 1930's to 2009 in large carton, including small range of covers stamped with South Australia and KGV issues, slogan postmarks, meters, Instructional markings, Registered, Certified and Priority Paid covers, Messenger Delivery, Reliefs, Advertising covers and some FDC's and postal stationary items. Main strength in Pre-Decimal KGVI and QEII period, with many opened on 3 sides. Accumulation of 434 mainly unaddressed official, WCS, Royal and Excelsior FDC's and Souvenir covers, plus 65 PSE's from 1966 to 1980 including 1966 Definitive set of 24 on WCS covers (2 sets), 1970 Cook M/S (58, 6 registered with Anpex Centenary Celebration cancel), 1970 Cook Anpex M/S, all cancelled Anpex Centenary Celebration (33), 1970 Cook M/S perforated (3), Rouletted, Coins (2) and Melbourne Airport at Tullamarine (11) and 1971 Christmas block of 7 on official unaddressed FDC's (12). 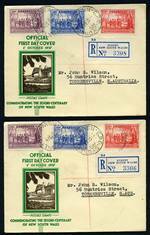 Some registered covers and varying duplication. 1967 Plain Air Mail envelope with Violet cachet "Forces Concession Rate", franked with 1966 5¢ Thornbill, tied by Aust F.P.O. 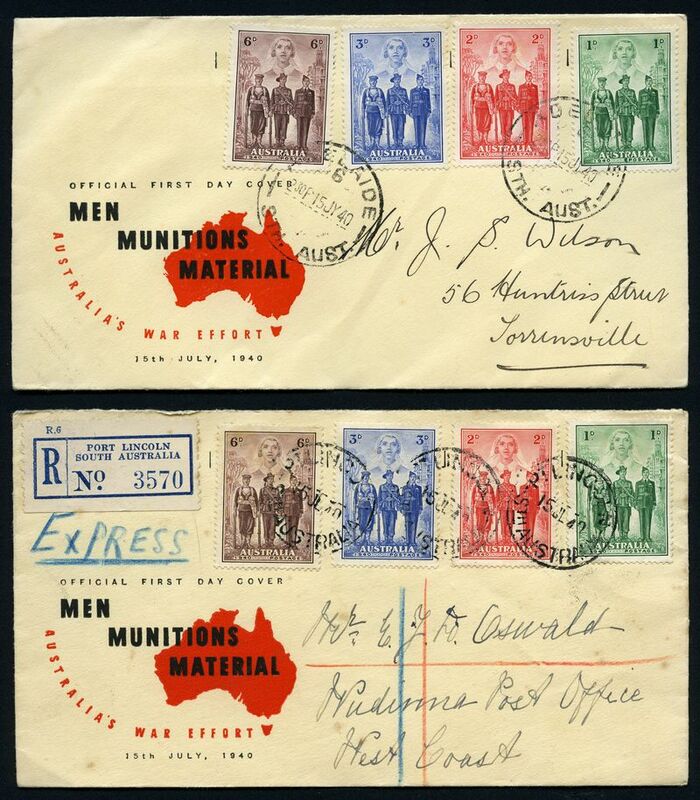 4 CDS postmark, 1969-1970 Australian Force Vietnam unstamped envelopes, all cancelled with Aust F.P.O. 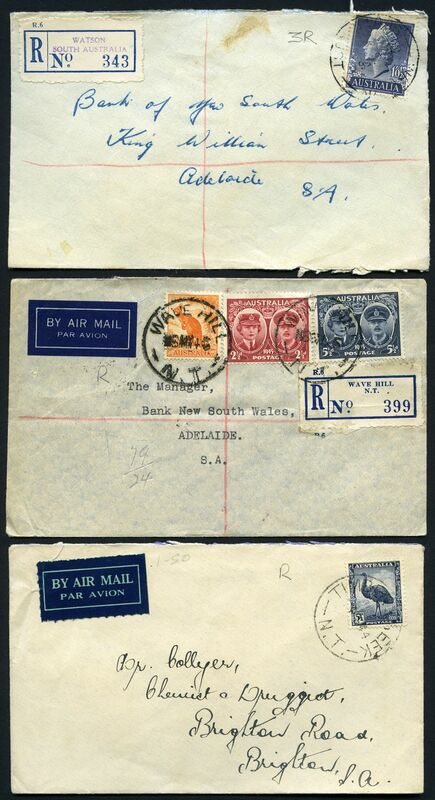 slogan cancellations and unused Australian Force Vietnam Air Mail envelopes (33). 1968 Australian Forces Vietnam envelope registered and endorsed "Free" but with added 1966 25¢ Robin stamp tied by Aust F.P.O. 4 CDS postmark, to cover the registration rate, addressed to South Australia. Scarce usage. Accumulation of hundreds of FDC's, PSE's, Postcard packs, Maximum cards and Souvenir covers with special or commemorative postmarks from 1953 to 2006 with main strength in Decimal period, including some AAT and Foreign. Noted 1970 5¢ Grasslands on official unaddressed FDC and AAT 1973 Definitive set on Official unaddressed FDC's cancelled at Mawson base. Also small range of used Australian and Foreign stamps. 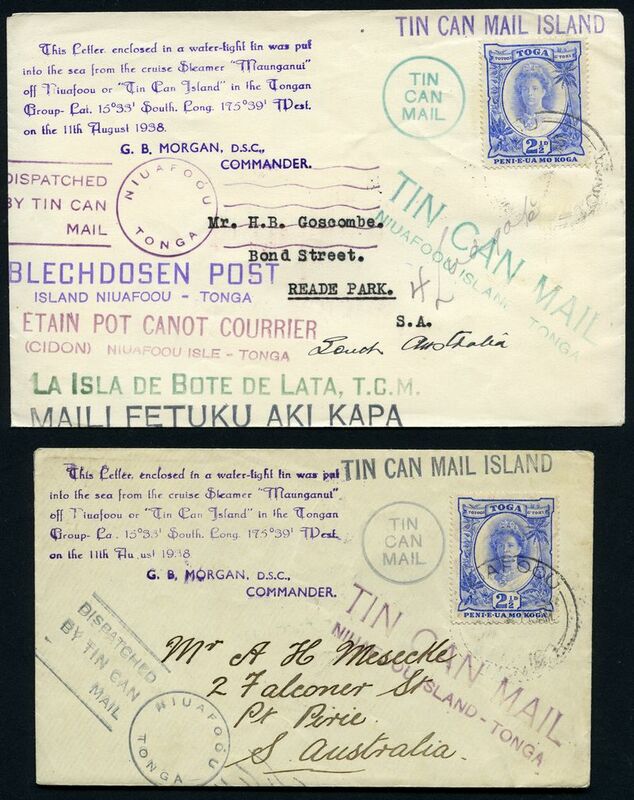 Accumulation of 1,600 commercial covers from 1930 to 2009, including Registered, Priority Paid, Certified, Messenger Delivery, Security Post, Meters and a wide range of Post Office instructional markings. Main strength in Decimal period. Collection of 710 different Maximum cards from 1987 to 2001, all stamped with the relevant issue, cancelled on First Day of Issue. The original cost price would have been $800.00+++. Face Value $510.00. 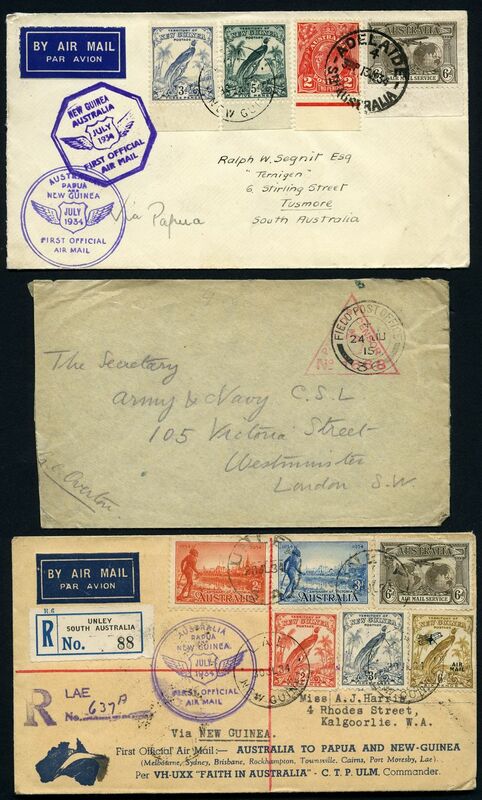 1899 cover sent from Newlands on 14th October, 3 days after the start of the Boer War, addressed to Vereeniging, Transvaal, with manuscript "Service Suspended" and Violet boxed "Mail Service Suspended" postal marking. Two Returned Letter Office, Cape Town CDS postmarks date My 22 00 on reverse. An attractive early Boer War cover. 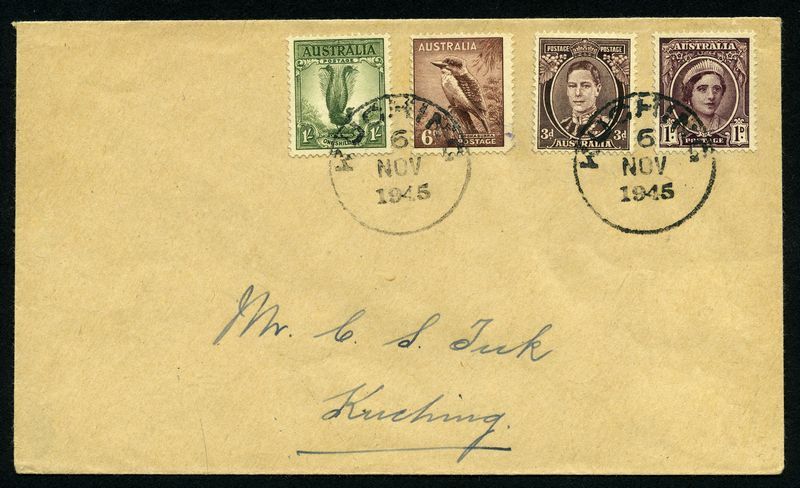 Local philatelic cover stamped with Australian 1d 3d 6d and 1/- stamps, the only four values available, tied by the provisional 'KUCHING/6/NOV/1945' cds. Collection of 148 mostly early postcards including a few covers and a range of WWII era Field Post Office postcards, with a few items from other European countries. An interesting lot with a range of Postal Markings some Sea Post items, underpaid items and a sprinkling of unused cards. 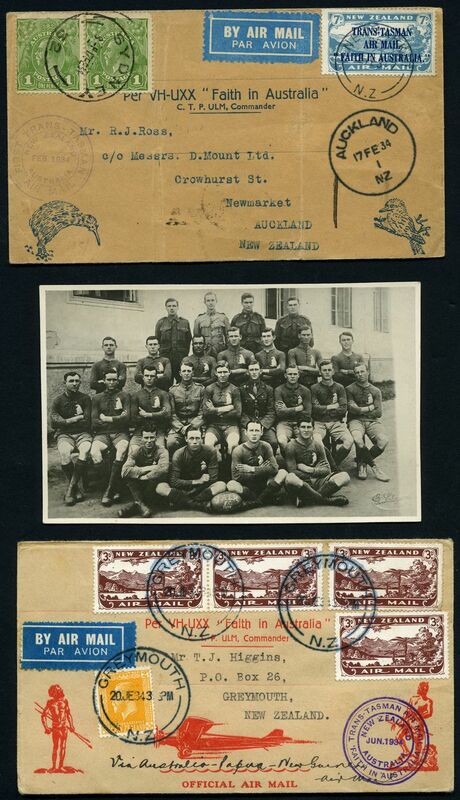 Accumulation of 377 Foreign covers and Postal Stationery items from a range of countries and periods, plus 244 Australian Decimal FDC's and Postal Stationary items, including many with pictorial or commemorative postmarks. 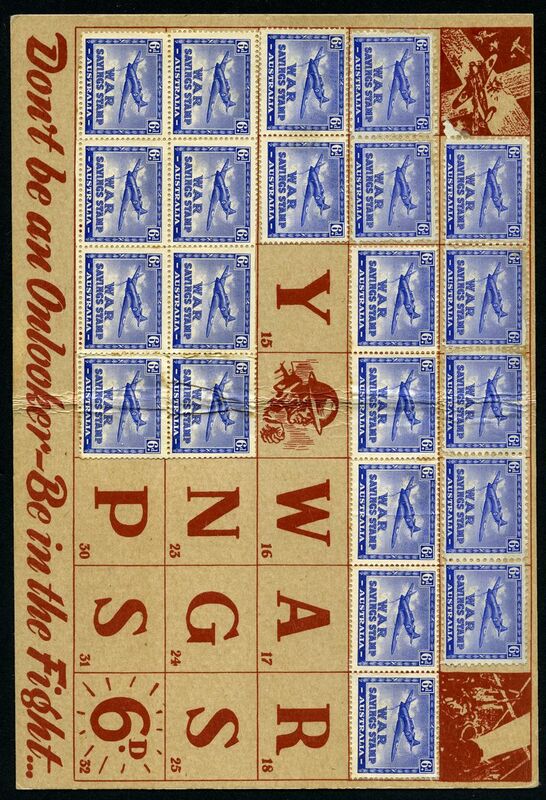 Accumulation of 4,200 covers and Postal Stationery from early to modern including Commercial covers, First Day Covers, Flight covers, Registered covers, Souvenir covers, WWII Censor and Decorative covers, Advertising covers, Instructional Markings, Meters and more. Main strength in Australia including handy items and some duplication. Variable condition. Accumulation of many hundreds of FDC's, PSE's, Souvenir covers, commercial covers Postal Stationery and miscellaneous items from early to modern in wine carton. Main strength in Australia, Australian Territories, Papua New Guinea, Singapore and New Zealand. Usual variable condition. Accumulation of hundreds of mainly Australian FDC's, souvenir covers, maximum cards, commercial covers, postal stationery and postcards from early to modern, plus range of ephemera, cigarette cards and miscellaneous items including Rowntree & Co 1935 Silver Jubilee tin, Great Britain 1936 Edward VIII Medallic Crown and Cook Is 1975 Proof coin set. Usual variable condition. 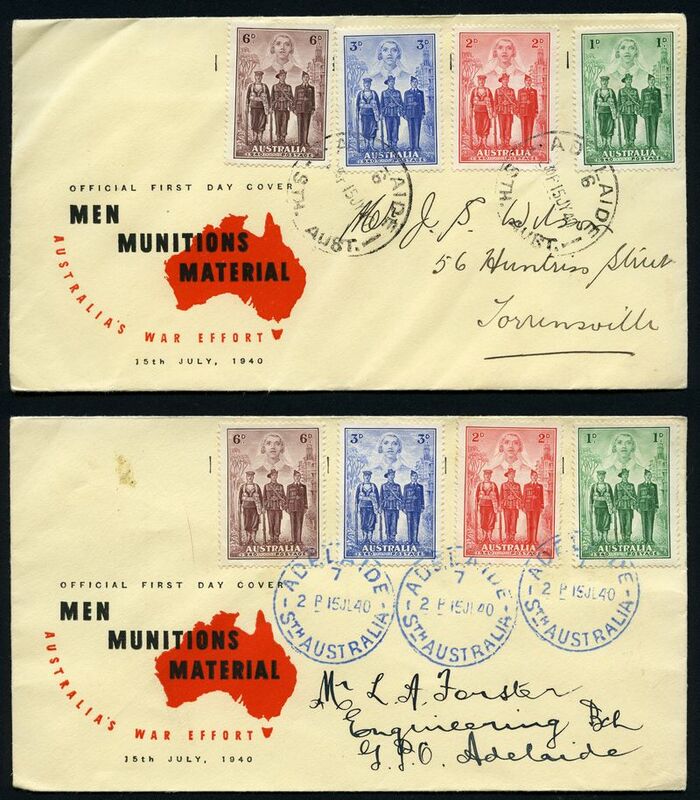 Accumulation of hundreds of mainly Australian FDC's, souvenir covers, maximum cards, commercial covers, Airmail covers, Censor covers, postal stationery and postcards from early to modern. Usual variable condition. Carton containing many hundreds of First Day Covers, special postmarks, Postal Stationery items, mostly modern Postcards, but including some useful early content, commercial covers, advertising covers, Maximum Cards and more, from a range of countries and periods. 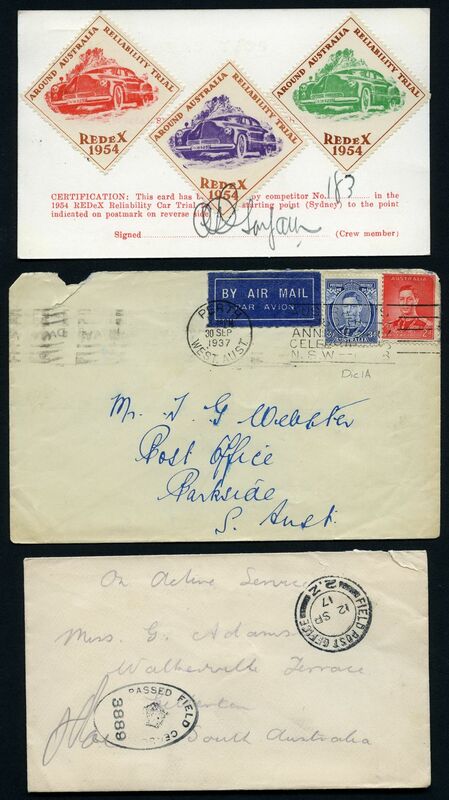 Accumulation of many hundreds of covers and Postal Stationery items from early to modern including Commercial covers, First Days Covers, Flight covers, WWII Censor covers, Souvenir covers, Advertising covers, Postcards and more. Main strength in Australia. Variable condition. Selection of 325 FDC's, Special Postmarks, Postal Stationery Items, Commercial covers and miscellaneous items from Australia and a range of foreign countries, covering a period from the early 1900's to recent. Condition varies. 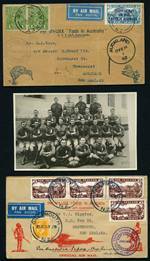 Noted 1930 Sturt set (slightest tone on edge of stamps) and 1931 6d Violet Kingsford Smith on registered plain First Day Covers. Accumulation of thousands of First Day Covers, Commercial covers, Registered covers and Postal Stationery from early to modern including handy items and some duplication. Main strength in Australia and New Zealand, but a wide range of countries represented. Variable condition. Accumulation of many hundreds of FDC's, PSE's, commercial covers, postcards and Postal Stationery items from early to modern in wine carton. Main strength in Australia.